They always suspected something like this would happen but the treachery when it came, was as heartbreaking as it was heartless as athletes who won medals for Nigeria at the recently concluded World Para Powerlifting Invitational Competition that held in Lagos were forced to make their way home with nothing to show for their exploits after the president of the Para Powerlifting Federation Mrs Queen Uboh reneged on a publicly made promise to pay them their prize money. Mrs Uboh had vowed in the full glare of the media to pay the athletes all their allowances and prize monies after the athletes staged a protest that threatened to disrupt the closing ceremony of the competition at the Oriental Hotel in Lagos where they demanded the payment of all outstanding monies due them. The athletes had been in camp since the 3rd of January but had received no allowances whatsoever for their welfare during their camp through to 31 January when the competition came to a close. After a meeting with representatives of the federation proved unsatisfactory, the athletes decided to take matters into their own hands hence the protest at the closing ceremony that had the representative of the sports minister as well as many brand sponsors in attendance. In a bid assuage the anger of the protesting athletes, Mrs Uboh addressed them and promised that each athlete would receive N1,200 for each of the 23 days spent in closed camp and N10,000 for each of the 5 days spent at the venue of the competition. Mrs Uboh also promised that all prize monies would be paid to medallists “before they check out of their rooms” at the Oriental Hotel in the morning of the 1st of February. But a number of the athletes told busybuddiesng.com that they received only N77,600 being the sums due them for the closed camping and competition allowances. According to the athletes who asked not to be named for fear of repercussions from Mrs Uboh, Mrs Uboh claimed that funds for the prize money haven’t been released by the Ministry of Sports and was noncommittal on when the athletes could expect to be paid which begs the question, why she made the promise in the first place. This also begs the question of why prize money was announced for podium places by Mrs Uboh’s federation if they had no intention of paying it. The organisers had announced $2,500 for a gold medal, $1,500 for a silver medal and $1,000 for a bronze medal. Neither Mrs Uboh nor representatives of the sports minister have responded to our enquiries about the status of the prize money at the time of filing this report. 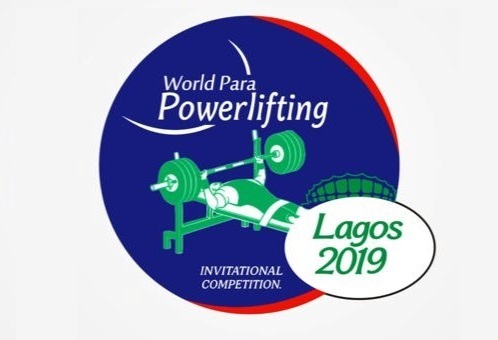 Team Nigeria’s 53 athletes at the competition – the first ever international Para competition to be staged in the country which had seven countries and a total of 79 athletes in attendance – won a total of 42 medals made up of 20 gold medals, 15 silver medals and 7 bronze medals in various weight classes of the men and women’s categories. Other countries to bag medals include Ivory Coast and Cameroon whose athletes won 3 bronze medals apiece while Ghanaian athletes went home with 2 bronze medals. But just like their Nigerian counterparts, busybuddiesng.com can confirm that none of the medallists from the three countries were paid prize monies or even promised to be paid in the future. Asides the heartbreaking duplicity exhibited by Mrs Uboh, seven gold medal-winning athletes also complained to busybuddiesng.com of being short-changed by the Federation of their entitlements from sponsors. It was gathered that 40 of the 53 athletes that represented Nigeria were sponsored to the competition by private multinationals who made provisions for funds, tracksuits and sauna suits for the athletes but the federation didn’t provide a single tracksuit to the athletes and athletes were forced to share sauna suits which they had to return at the end of their events. “I know this is how it will end because this is how they always treat us,” a forlorn and weary male gold medallist told busybuddiesng.com. “I don’t want to think of it because I will just get angry for nothing. What am I going to tell my wife and kids? They believe I have been in Lagos enjoying and after nearly one month I am going back empty-handed, would they treat footballers like this? Whilst no expense was spared at the closing ceremony for the competition where A-list compѐres and artistes were paid to perform, the athletes who actually competed and in whose honour the ceremony was supposedly held go back to their homes and families to contemplate a life of penury.